It has been described as hiding in plain sight, a planet 10 times as massive as Earth and orbiting the Sun beyond Neptune. Predicted in a series of studies over the last few years, Planet Nine of the solar system — if it exists — continues to elude, and yet intrigue, with clues suggesting that it is indeed out there. The latest pointer comes from another object in the outer Solar System, called 2015 BP519. This one is certain: it was discovered during the international project Dark Energy Survey. In a paper on a preprint archive reporting the discovery, a large team of scientists has concluded that 2015 BP519 “adds to the circumstantial evidence for the existence of this proposed new member of the Solar System”. 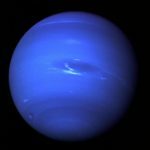 Researchers have been on the lookout for “planet nine” since early 2016 when astronomers first spotted a group of objects orbiting at an odd angle well past Neptune. “It’s not proof that Planet Nine exists,” David Gerdes, an astronomer at the University of Michigan and co-author of the paper, told Quanta Magazine. 2015 BP519 was found using data from the Dark Energy Survey, an ongoing project investigating the expansion of our universe by looking into deep space. The story actually starts with another celestial object: 2015 BP519. The team of researchers notes that the object, classified as an “Extreme Trans-Neptunian Object” due to its size and distance from the Sun, has been on the team’s radar since 2014. The massive team of astronomers spent 1,110 days tracking the orbit of 2015 BP519 (which honestly should also be declared a planet or something just so it can be named after a Roman deity and not a bunch of numbers and letters) as part of the Dark Energy Survey Collaboration using a Dark Energy Camera from an observatory in Chile. BP519 caught their attention because it has a weird orbit. Researchers found that 2015 BP519 travels as far as about 450 times the distance between the Sun and Earth, and it also has the most inclined orbit of any known Extreme Trans-Neptunian Object, traveling almost perpendicular to the rest of the planets and objects in our solar system. 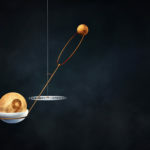 This strange orbit is an anomaly in the solar system. The paper’s authors describe the new object as the “most extreme” Trans-Neptunian Object “discovered to date.” In plain English, that means it has the wonkiest orbit of any object past Neptune. The new object was discovered using data from The Dark Energy Survey, an ongoing project investigating the expansion of our universe by looking deep into space. The planets we know about all orbit the sun at the same angle, called the orbital plane, because of the sun’s gravitational pull. Because The Dark Energy Survey is examining a different plane, scientists did not expect to find any orbiting objects in the data. The orbit of 2015 BP519 is tilted 54 degrees from our orbital plane, according to the paper. A likely explanation is that a giant ghost planet is tilting the object’s orbit. Models suggest it would take this hypothetical Planet Nine 10,000 to 20,000 years to complete one rotation around the sun. 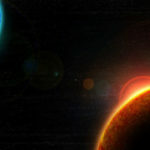 Two years ago, scientists from the California Institute of Technology (Caltech) found evidence to suggest that a mysterious planet larger than Earth could be hiding beyond the orbit of Pluto, in the furthest reaches of the Solar System. While the researchers didn’t directly observe the hypothetical ninth planet—otherwise known as Planet Nine—they did predict its existence based on the strange orbits of a handful of so-called Trans-Neptunian objects (TNOs)—distant, icy worlds located beyond the orbit of Neptune. These TNOs are clustered together in a way that is extremely unlikely to have occurred by chance, indicating the presence of a planet-sized object that is influencing their orbits through its gravitional pull, the theory goes. Since this discovery, scientists around the world have scrambled to investigate the predictions, but Planet Nine has remained elusive. 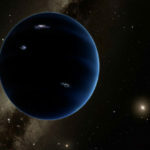 Now, an international team of researchers has reported the discovery of another distant world with an extraordinary orbit—referred to as 2015 BP519—which, they say, bolsters the case for the ninth planet. In a new paper, published on the online preprint server arXiv.org, the team described how it uncovered the space object in 2014 using data from the Dark Energy Survey (DES)—an international, collaborative effort to map a vast region of the skies and reveal the nature of the mysterious force that is accelerating the expansion of the universe, known as dark energy. 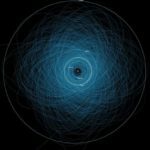 These space rocks, which orbit uncomfortably close to our planet, were spotted just once by scientists. Researchers were unable to continue tracking them, which means they have no way of knowing if they are on a collision course with Earth. Despite fears they could smash into Earth, experts say there is a ‘low chance’ of of surprise near-Earth asteroids causing damage. To make their finding the team looked at data from some of Earth’s most prolific asteroid hunting systems, including Pan-STARRS, the Catalina Sky Survey, the Dark Energy Survey, and the Space Surveillance Telescope. Brian Nord works in the deep skies lab on gravitational lensing at Fermilab. A gravitational lens is formed between a distant light source and an observer that bends the light from the source as it travels towards the observer. The amount of bending is one of the predictions of Albert Einstein’s general theory of relativity. Researchers can also use “lensing” as a measurement of how much dark matter there is in the universe. Between 1979 and now, only 1,000 such “lenses” have been discovered, but they predict significantly more of these observations will be found. The Dark Energy Survey (DES) uses the dark energy camera, and is predicted to have over 2,000 galaxy scale lenses in this survey. LSST was hinted to find potentially 120,000 of these types of events. This team also didn’t want to reinvent the wheel, and they also turned to AI techniques to help them. Using deep learning they found 8 new confirmed lenses, by looking at 100’s of square degrees of images. They use “ensembles of networks” and then use a simple majority vote to decide on which are lenses and which are not lenses. This specific technique of “jury vote” or consensus prediction is becoming very popular in a variety of fields to improve the quality of AI systems. A supernova is one of the most impressive natural phenomena in the Universe. Unfortunately, such events are often brief and transient, temporarily becoming as bright as an entire galaxy and then fading away. But given what these bright explosions – which occur when a star reaches the end of its life cycle – can teach us about the Universe, scientists are naturally very interested in studying them. 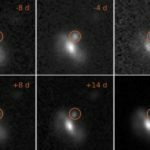 Using data from the Dark Energy Survey Supernova (DES-SN) program, a team of astronomers recently detected 72 supernovae, the largest number of events discovered to date. These supernovae were not only very bright, but also very brief – a finding which the team is still struggling to explain. The results of their study were presented on Tuesday, April 3rd, at the European Week of Astronomy and Space Science in Liverpool. The team was led by Miika Pursiainen, a PhD researcher from the University of Southampton. For the sake of their study, the team relied on data from the 4-meter telescope at the Cerro Tololo Inter-American Observatory (CTIO). This telescope is part of the Dark Energy Survey, a global effort to map hundreds of millions of galaxies and thousands of supernovae in to find patterns int he cosmic structure that will reveal the nature of dark energy. 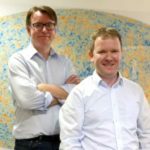 Professor Bob Nichol and Dr David Bacon, from the Institute of Cosmology and Gravitation, have played key roles in the Dark Energy Survey (DES). Kick-started in 2003, the project has united more than 400 scientists from institutions in the United States, the United Kingdom, Brazil, Spain, Germany, Switzerland and Australia. And together, with internationally-sourced government and university funding, this crack team has built and used a 570-megapixel digital camera to carry out a deep probe of 5,000 square degrees – or one eighth – of the southern sky.